Sri Lankan Airlines has taken steps to temporarily suspend all scheduled flights to Pakistan. 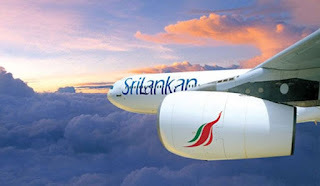 Accordingly, in a statement issued by Sri Lankan Airlines said, all flights scheduled from Sri Lanka to Lahore and Karachi on Thursday (28) have been cancelled. All passengers who had booked flights to these two cities were requested to contact Sri Lankan Airlines through their official web site. The airline said that this decision was taken for the safety of the passengers. The Pakistan Civil Aviation Authority said that their entire air space had been closed until further notice. Meanwhile, according to reports from India, nine airports in the Northern part of India had been closed. According to Flight Radar, a flight observation group, all international flights are avoiding the conflict zone. Some of the flights had returned to their departure points while others had used alternative routes. The Sri Lankan Government has expressed their stand on the clashes which occurred near the Kashmir region between India and Pakistan. Issuing a statement, the Sri Lankan Foreign Ministry said, Sri Lanka would render their support any form of terrorism. It said as a country that suffered for three decades due to terrorism, Sri Lanka strongly condemns the Pulwama terror attack. Sri Lanka said it was saddened by the attack on Pulwama and the resulting recent attacks, adding that Sri Lanka would support all efforts to initiate dialog between the two countries that would lead to peace and stability in the South Asian region. Sri Lanka had urged both India and Pakistan to act responsibly for the safety, peace and stability of the region.